Enhance your lifestyle by combining today’s modern technology with the benefits of C-Bus Home Control. 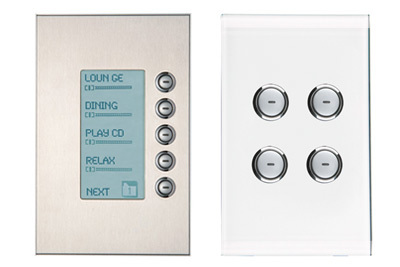 The system can be individually programmed to suit your home and lifestyle – further enhancing the level of comfort and convenience in your home. Designed so that your whole family can operate it, you can control your C-Bus system from an extensive range of touch-screens, DLT’s and other wall switches to blend in with your home and complement your décor. Whether you’re outside, away from or around your home, C-Bus gives you complete control via a web-enabled device, such as a smart-phone, laptop or tablet PC. With C-Bus, elements such as lighting, audiovisual systems and air conditioning can be programmed to work in unison at the touch of a button. Referred to as a “scene”, this function allows a specific mood or atmosphere to be created quickly and easily.